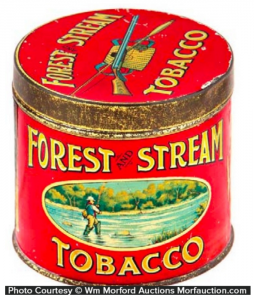 Canadian Tobacco Tins Part 1: Imperial Tobacco Co. 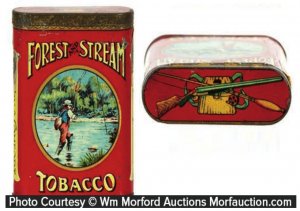 Although many others existed, there were four major tobacco companies active in Canada during the period most collectable tobacco tins were made. These tins are an integral part of the hobby and tins manufactured by the Canadian major tobacco companies: Imperial, Rock City, Tucketts, and Macdonald are featured in countless tin collections. Imperial Tobacco Company, which was to become the giant of the Canadian tobacco industry began humbly as the B. Houde Company which was founded in 1841 in Quebec City. 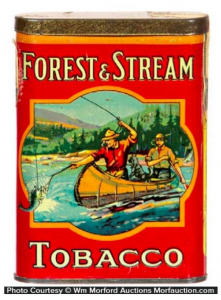 By the late 1890’s it had become the largest tobacco manufacturer in Canada with brands such as Solace, Carillon and OK being manufactured and marketed in tins. In 1885, a competing company called the D. Ritchie Tobacco Company established itself on Dalhousie Street in Montreal. 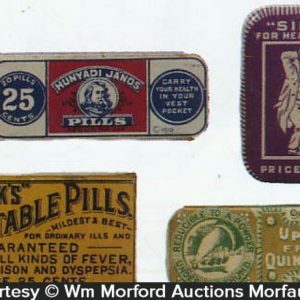 The company was known for its top selling brands including Puritan, Derby, Athlete, Gloria, Old Virginia and Old Chum. In 1888, an event took place that would eventually revolutionize the entire Canadian tobacco industry, and was in effect the first semblance of what is now known as the Imperial Tobacco Company of Canada. A 22 year old man named Mortimer Davis joined the firm of S. Davis Cigar Makers of Montreal owned by his father and immediately assed the vast potential of the Canadian tobacco industry. Mortimer suggested expansion into the cigarette, cut and plug tobacco markets leading to the purchase of D. Ritchie Tobacco. Over the next seven years, Mortimer Davis became more involved in his father’s business, eventually becoming the primary manager of the business. Upon the death of his father, he made a deal with Duke Tobacco in the united states to form the American Tobacco Co. of Canada. The now flourishing D. Ritchie arm of the now names S. Davis & Son became the cornerstone of the American Tobacco Co. of Canada with Davis serving as the president. 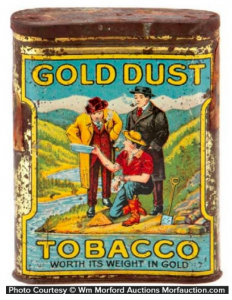 In 1898, further expansion occurred when the firm acquired the Empire Tobacco Company of Granby, Quebec whose Great West Tobacco brand was known for being the only Canadian tobacco marketed in lunchbox style tins. 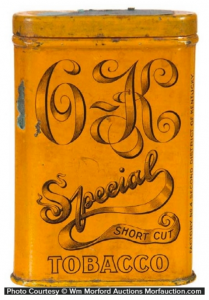 Five years later, in 1903, the company went on to made its largest acquisition yet by purchasing the B. Houde Tobacco Company which was Canada’s oldest tobacco company. 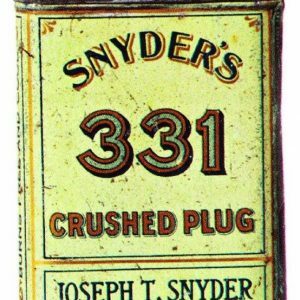 From 1895 to 1905 tins were produced for this company which have become some of the most collectable of all Canadian tobacco tins. 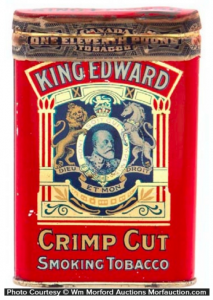 In 1903, the company experienced some new competition with the introduction of a branch of the British Imperial Tobacco Company which opened in St. John, New Brunswick and established a strong toehold in the North American Market. A year before in England, J.B. Duke, owner of the American Tobacco Company purchased Ogden’s Ltd., a very old and well-established British tobacco concern and started his famous corporate war on Imperial Tobacco Co. of Great Britain. By 1905, Imperial capitulated and fell under control of Duke. Officially, Ogden’s merged with Imperial tobacco with the export business of both Imperial and American amalgamated into the British American Tobacco Company (commonly known as BAT). The result in Canada was the formation of The Imperial Tobacco Company of Canada in 1906 with Mortimer Davis as president which ended the existence of the American Tobacco Company of Canada. Business increased so substantially during the following years that the company was compelled to apply for a new charter and was reincorporated with a more Canadian board of directors on April 3, 1912 with an authorized capital of $30 million. 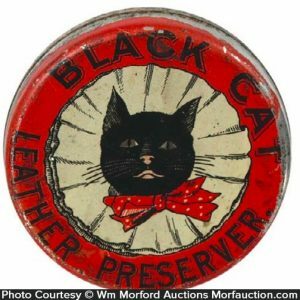 The company continued to grow taking over Dominion Tobacco Company, which had issued some very interesting pocket tins. 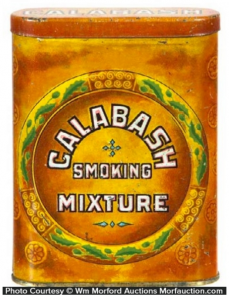 Imperial brands found in tin containers after this takeover included Forest and Stream, Picobac, Gold Dust, Sweet Caporal, Old Chum, Old Virginia, Great West, Meerschaum, Repeater, Paragon, Calabash, Old Glory and King Edward. Mortimer Davis is currently remembered for fostering the rapid expansion of the tobacco industry in Canada and was knighted in 1917 for his business achievements.